Renraku Honorary CEO. Probably dead/comatose. The founder and CEO of Renraku Computer Systems, a position he held until his death. He was considered a patient, prudent and intelligent leader with an almost inexhaustible source of worldwide contacts. He still is listed as the “Honorary CEO”, leading to constant speculation that he is not actually dead. In February of 2060 the AI Deus attacked Aneki in an attempt to convert him to its cause, but failed as Aneki’s matrix defenses forced Deus to cut his attack short. Aneki suffered brain damage as a result, and Renraku executives used the Seal of the Green Gloves (bequeathed to him by Dunkelzahn) to get Aneki into Tibet, where monks attempted to heal his mind. 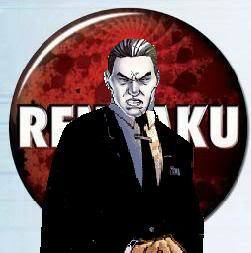 In May of 2061, Aneki was brought to the Renraku Arcology in Seattle, in an attempt to infiltrate the arcology and use the kill-codes stored in his brain to deactivate Deus, a move which Deus had anticipated. The infiltration team was successful in penetrating the arcology, and defeating Deus, which allowed the UCAS military to retake control of the arcology, but in delivering the kill-codes, Aneki also unwittingly freed Deus from his prison. Having downloaded himself into the minds of a number of Otaku, Deus was able to re-form and was responsible in part for Crash 2.0. In shame over what had become of the Renraku Arcology, Aneki committed seppuku while jacked into the SCIRE matrix host.